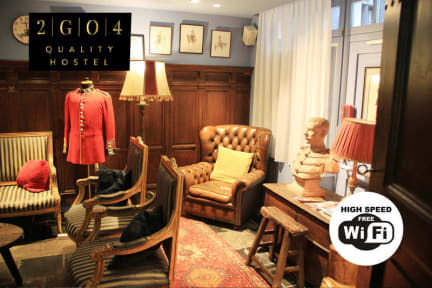 Brussels 2GO4 Quality Hostel Grand Place i Bryssel, Belgien : Boka nu! 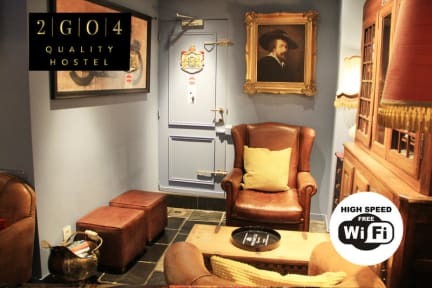 One the best hostels i have been in! Please observe that if you have early plans (as I did this weekend) the breakfast area is loocked in the morning until 7. (My train left Before 7 in the mornings.) Please observe that you check in at another part of the hostel in Another neighborhood (if you are scared of dragging your bags) Please observe if you are a women and don't like looking on half naked girls on the TVscreens (in kitchen and lounge area) do not go to this hostel; strange atmosphere.